One of the new markets where the Google Pixel 3 and Pixel 3 XL will launch this year is Japan. For this occasion, Google has released a new teaser video for the upcoming phones, showcasing the Active Edge technology inside. If you don't know what this is, it's basically the squeeze feature that lets you launch Google Assistant or mute the phone when it's ringing. 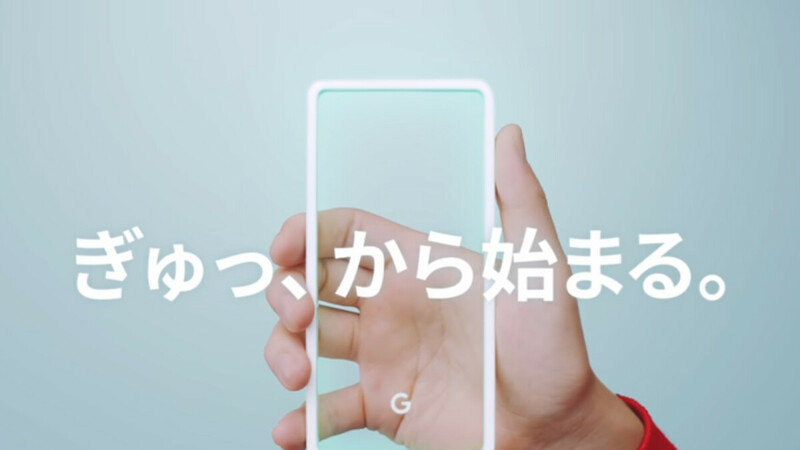 Being made for the Japanese market, the new Pixel 3 teaser is as quirky as you'd expect if you've seen any commercials from the land of the rising sun. It involves squeezing a wide range of things, none of which the actual phone, but that's to be expected. According to the eagle-eyed folks over at 9to5Google, there's also a brief moment in the video that may be a hint at the new color options for the Pixel 3, though that's just speculation. If you're quick enough to pause the video during a very brief scene of two people in striped shirts hugging, you'll notice that the stripes on their shirts, as well as those on the wall behind them, are all in colors rumored for the new Pixels. The official unveiling of the Pixel 3 and Pixel 3 XL is mere days away now. Google is expected to showcase and launch its new flagships on October 9th, possibly alongside a Pixel smartwatch. This will mark the first time Pixel devices are sold in Japan. What do you think of Active Edge? Any Pixel 2 owners out there actively squeezing their phones? Tell us in the comments below. Love how they're not even showing, mentioning, or acknowledging a notch, but Google's not alone. Apple's marketing for the XS stealthily hides the notch in a lot of adverts and it just makes it seem like even OEM's know the notch is not an appealing thing to showcase so best to minimize its presence as much as possible lmao. Or what if Pixel 3 XL actually does not have notch? It's pretty much established now that Google had 2 design teams for Pixel 3 series. One the old and typical google one which did the blunder of this notch and another one that came after buying HTC. It is said that HTC team has designed their own Pixel version. And the old google team will most probably be fired. What if Google ends up unveiling the HTC designed one? If Pixel 3 XL doesn't have a notch i will be all over it. Even if it has a notch. The Android Pie (9) OS, has an option to use the notch or not use it. Plus Daydream VR defaults to not use the Notch automatically. Plus you have the option to use gestures or use the older navigation buttons. This is Android we are talking about. You have options to do almost anything. Unlike that wall garden platform called iOS, which removes or limit's options. Cute ad. Squeezy phones... eh.